While never threatening the feature length film, the horror anthology is a sub-genre that has steadfastly clung onto life. Usually the first victim of the horror anthology is quality; for every ‘Dead of Night’ we have ‘Creepshow’, ‘The Monster Club’ and ‘Tales from the Crypt’. But, Asian horror cinema has proved more adept at transferring the short story tradition to the big screen, most notably with the (over-rated) ‘Kwaidan’ (1964). 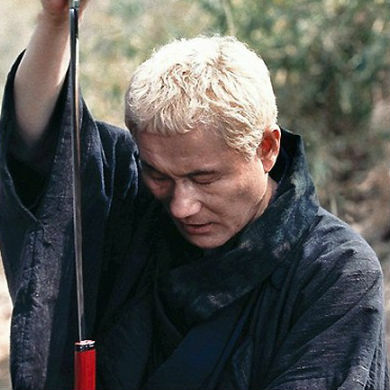 Shan-si Tung’s ‘Yinyang Jie’ (Blood Reincarnation – 1974) is arguably more impressive, and the late nineties saw the tradition flourishing with ‘Mei Mong Leung’ (Nightmare Zone – 1998), the delightfully titled ‘Faces of Horrid’ (1998) and the ‘Troublesome Night’ series. 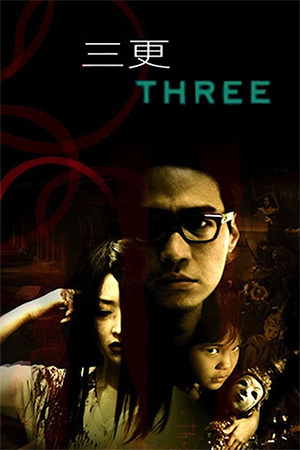 In 2002 Asian horror anthologies went ambitiously upmarket with ‘Three’. Uniting three high profile Asian directors, ‘Three’ gives them free reign to explore life’s darkest regions, unfettered by linking stories or narrator. Disappointingly, despite this freedom only Hong Kong director Peter Chan’s ‘Going Home’ impresses. Ji-woon Kim and Nonzee Nimibutr, representing Korea and Thailand respectively, prove unable to adapt to the short story format. After suitably unsettling opening credits, ‘Three’ opens with Kim’s episode ‘Memories’. For audiences unfamiliar with ‘Ring’ or any other Asian horror movie of the past five years, ‘Memories’ will be an effective little chiller. But, reliance on a jerky, shuffling woman, face obscured by black hair and an arsenal of false shocks has become lazy horror shorthand. The story is sufficiently intriguing for the short film format: a man’s wife has disappeared and all efforts to find her prove futile. The woman awakens, amnesiac, in a quiet street and attempts to get home. But, both wife and husband are plagued by terrible visions, most notably the man witnessing his spouse inquisitively probing a gaping head wound. Writer/Director Kim debuted with the wonderfully askew ‘The Quiet Family’ (which in turn inspired Takashi Miike’s unforgettable ‘The Happiness of the Katakuris’) and has enjoyed recent success with ‘A Tale of Two Sisters’. Here he shoots with a keen eye for dreamy, disquieting imagery, but his script is surprisingly derivative and guessable, making ‘Memories’ ultimately forgettable. Which applies tenfold to Nimibutr’s ‘The Wheel’, whose sophomore movie, the first class horror film ‘Nang Nak’, is rapidly becoming a one-off wonder. Now Nimibutr is more often donning a producer’s hat, recently producing ‘The Eye 2’. A grim tale of cursed puppets seems a sure fire shocker (think Michael Redgrave in ‘Dead of Night’ or Anthony Hopkins in ‘Magic’) and the bare bones story of ‘The Wheel’ is diverting: revered puppet shows can bring great acclaim and fortune to the puppet master, but beware those who try to use others’ puppets for their own gain; the mannequins can prove vengeful. Tao, a theatre manager, scoffs at such warnings and watches impotently as his avarice unleashes murder and madness in a riverside village. Nimibutr crams his story (he is one of the film’s three writers) with unimportant secondary characters and events. What should be Tao’s descent into madness as greed blights his life focuses instead on a young boy with knowledge of the curse, teen romance and a young girl who is the puppets’ conduit for evil. Here lies the fatal flaw; young moppets will never be as uncannily spooky as dead-eyed mannequins. Yet Nimibutr barely affords his chief villains a mid-shot, yet alone that effortlessly scary lingering close-up. Had he never seen ‘Child’s Play’? One saving grace is ‘Nang Nak’s DP Nattawat Kittikhun photography, foregrounding forebodingly fiery reds (two characters perish in flames) and dirty browns that lend the riverside locale an authentically earthy feel. Maybe too much symbolism is lost on Western eyes, but flaws transcend culture and the cop-out ending leaves ‘The Wheel’ decidedly buckled. So Peter Chan’s ‘Going Home’ is left to prove the adage, always save the best for last. ‘Going Home’ realizes the constraints of the short film format and quickly reduces its cast to three players in a single apartment. Confidently wrong-footing the audience with early ‘Shining’ and ‘Don’t Look Now’ inspired scares permits some genuine later surprises as the real story unfolds. Wai (HK favourite Tsang) moves into a soon-to-be-condemned apartment block with his shy, nervous son. The apartment block is abandoned save for the caretaker, a husband and wife and a girl in a red coat; Wai is clearly down on his luck. 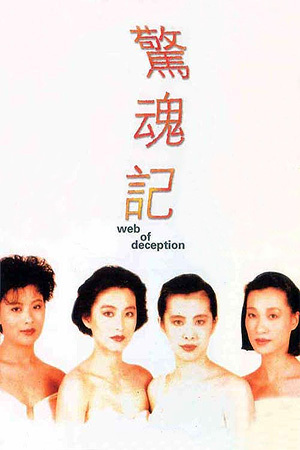 When his son goes missing with the girl in red, Wai calls into the couple’s apartment and finds the wife (Yuan) dead in the bathtub, and is taken by hostage by the husband, Yu Fai (Leon Lai), a doctor whose beliefs in the power of Chinese herbal remedies run to the unusual. ‘Going Home’ can be read allegorically as depicting contemporary Hong Kong, the building representing the island. The only men in the building are all public servants, but all are seemingly failing at their jobs. The doctor and his wife are Mainlanders distraught at the Westernised Hong Kong that cannot remember the power of tradition. The four writers (Teddy Chen, Matt Chow, Jo Jo Hui and Chao-bin Su) and director Chan realize the potential for experimentation in the short film format, and believably handle bizarre characters and ideas. Plus, despite being the most effectively chilling of the three shorts, ‘Going Home’ contains a final twist that transforms it into less of a horror film than the first two episodes. Honorary Hong Konger Christopher Doyle brings his usual expertise to the film’s look, conveying decay and melancholy with green and grey filters, while Tsang and Lai’s nuanced performances make this an unconventional two-hander in the same vein as ‘The Servant’. 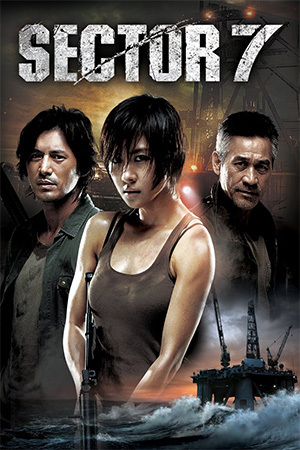 Peter Chan added approximately four minutes of material to ‘Going Home’ so it could be released stand-alone. This segment garnered 10 nominations at the 2003 Hong Kong Film Awards, including Best Picture, Director, Screenplay and Actor, and won Best Newcomer for Eugenia Yuan. For an excellent breakdown of the additional material, check out the So Good… Hong Kong film site. ‘Three’ is a bold idea, but one out of three is too bad. The follow-up, ‘Three… Extremes’ would do it all better.